Intreek Interactive » What’s Your Perodua Story? 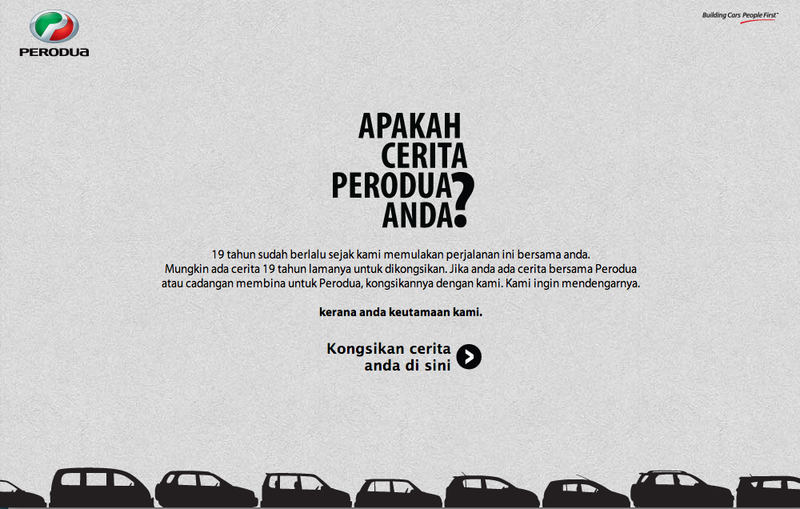 We developed the What’s Your Perodua Story microsite as part of Perodua’s 19th year anniversary campaign. 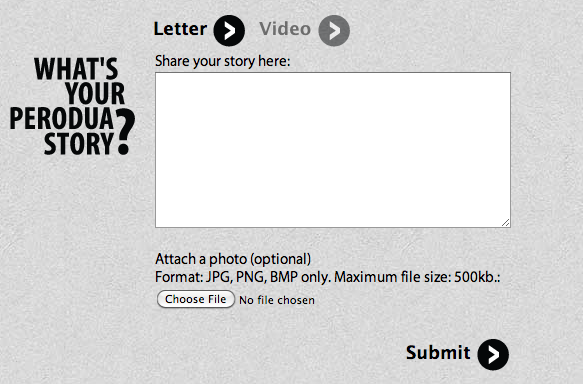 The goal of the website was to gather submissions from the users about their experience over the past 19 years. The site was built in two languages, Bahasa Malaysia and English, with an option for the user to select the language of choice at the start. The site was built in PHP.